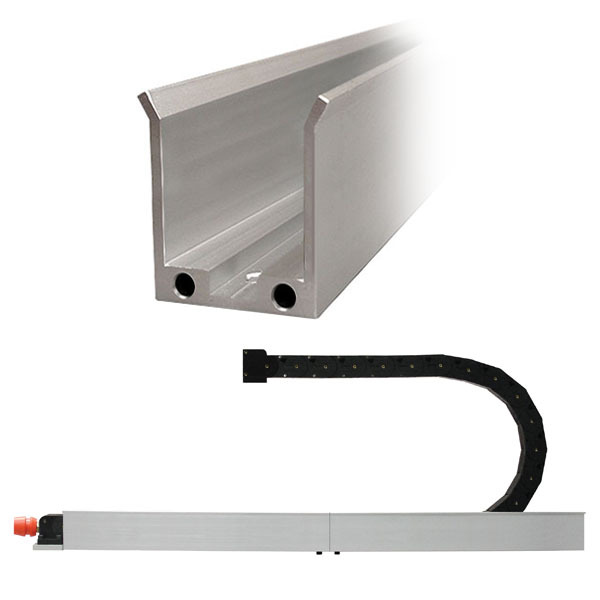 Aluminum mounting channel for Wire Wizard® FLEX Guide Modules is available in 4 ft (1.2m) sections and may be linked together using the Mounting Channel Splice Kit. 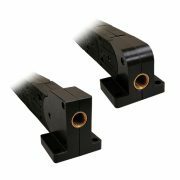 Each piece of channel features two mounting holes (one on each end) and holes for attaching the splice kit or the Guide Module FLEX End Cap Mounting Kit. Our sales and customer service representatives are available Monday-Friday, 8:00AM-5:00PM (EST) at our main office by calling 517-782-8040. Any orders placed after 3:00PM for same day shipping will be charged a $50.00 expedite fee. We can also be reached by fax 24 hours a day, seven days a week at 517-782-8039. When ordering, please state your company’s “bill to” and “ship to” address, purchase order number, part number, quantity, item description, and any special shipping instructions. All purchases will be shipped UPS ground unless otherwise specified. Items too large for UPS, will be shipped by commercial carrier. International orders outside of North America will be shipped by our global distribution partners. 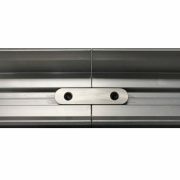 ELCo Enterprises has distributors located worldwide in Europe (Wire Wizard Europe), Asia, Australia, India and elsewhere. Number (RMA) within 30 days of the purchase date. Returns are subject to a 20% restocking fee. NOTE: Purchases cannot be delivered to post office boxes. Wire Wizard® products are available worldwide through our network of distributors. Most US orders shipped UPS Ground from your nearest distribution center. Expedited shipping available.